First impressions really do count in your reception or foyer, because it is usually the first point of contact clients have with your business. 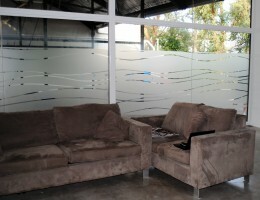 Window frosting provides privacy for your premises and also affords you another opportunity for corporate branding. Wall graphics is an essential part of reception branding and can also transform your office walls into a flexible, dynamic message board. 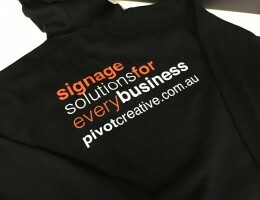 At Pivot Creative we can create innovative, colourful, exciting and portable branding solutions specifically for you. 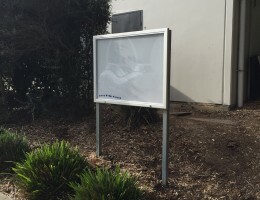 Need a notice board for a Strata Complex, Commiunity Centre, school or perhaps a place of business? 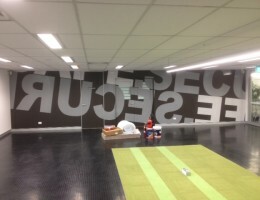 Pivot Creative have the perfect solution. Custom printed t-shirts, hivis, sloppy Joes and polo shirts. No run too small. 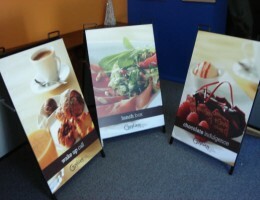 Perfect for your next trade show or exhibition. 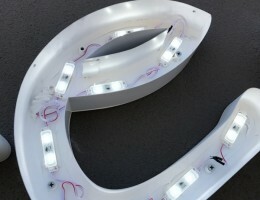 3D fabricated illuminated lettering. What better way to promote your organization? 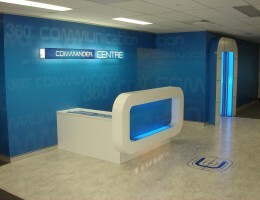 Our extensive range of high quality corporate signage includes reception branding, frosting and privacy graphics, wall graphics and a large range of portable branding. And we can also ensure you are complying with your office premises regulations, with fire block plans. Dont forget, if you have an upcoming trade show or exhibition, we can help you with custom printed T-shirts and polos. No run too small.